Grammy-winning Jamaican entertainer, Sean Paul has unveiled the official tracklist for his upcoming studio album, Full Frequency, which is set for a Nov. 4 release. Marking his seventh album to date, Full Frequency is entrenched with a number of collaborations with local and international acts on a compilation featuring elements of Dancehall, Reggae and pop music. The most eye-catching amongst the international collaborations is the single, Entertainment 2.0, featuring popular American rap stars, Nicki Minaj, 2 Chainz and Juicy J. The standout collaboration amongst his Jamaican compatriots is the hit single, Riot, featuring fellow Grammy-winning Reggae superstar, Damian ‘Jr. Gong’ Marley. The single has particularly garnered plaudits in Europe, hitting the top ten of singles charts in Germany, Switzerland and the United Kingdom. Konshens also features on Full Frequency through the joint effort, Want Dem All while Australian rapper, Iggy Azalea also makes an appearance on the single, Wickedest Style. 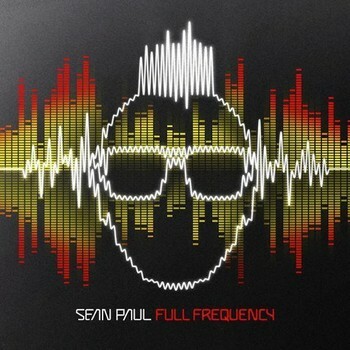 Full Frequency is Sean Paul’s second album in as many years, having released Tomahawk Technique in January of last year. The album reached the top ten on digital charts in Japan, Germany and Austria, despite recording sub-par sales figures in the United States. His highest selling album remains his sophomore effort, Dutty Rock, which went multi-platinum in the United States and earned him the Grammy award for Best Reggae Album in 2004. Full Frequency will be released in stores as well as via iTunes and other digital music outlets and will be distributed via Atlantic Records.